Location: Distance:16.7 miles sw183' from Ventura Harbor. Anacapa Island is located approximately 14 miles south of Ventura, California. Anacapa consists of 3 smaller islets, East, Middle, and West Anacapa Islands totaling approximately 1 square mile of land and approximately 5 miles in length. The island itself is encircled by steep sea cliffs that were formed from erosion. 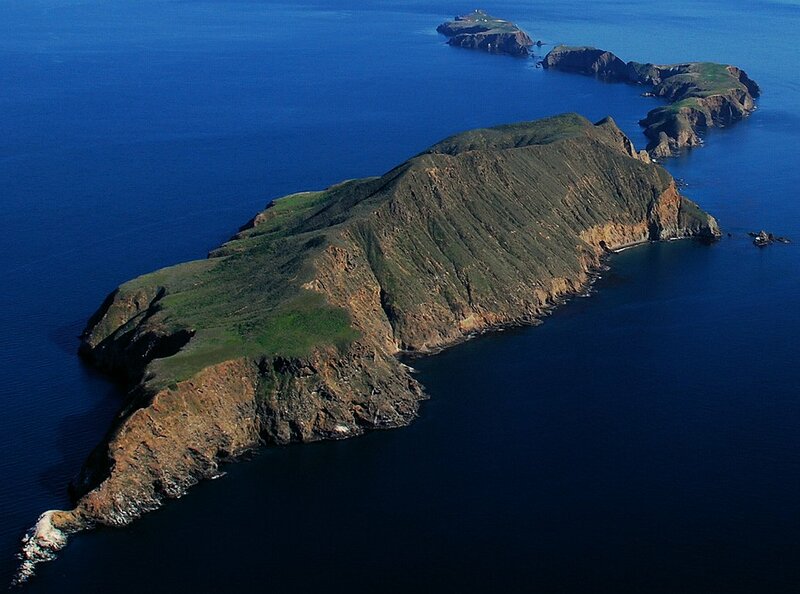 Anacapa island is mainly composed of Miocene volcanic rock. In 1980 Anacapa Island became part of the Channel Islands National Park. Both black and green abalone were once seen here, and an occasional red. If you see any now it will be greens up in shallow, between 5 and 15 feet. Green abalone is distinguished by their greenish salt and pepper mantle. There are reports of black abalone around the island. Black abalone makes their homes in sub tidal water down to 10 feet deep. Their shells are smooth, black or blue in color. The rocks and ridges are scattered but rise as much as 10 feet from the sand bottom. 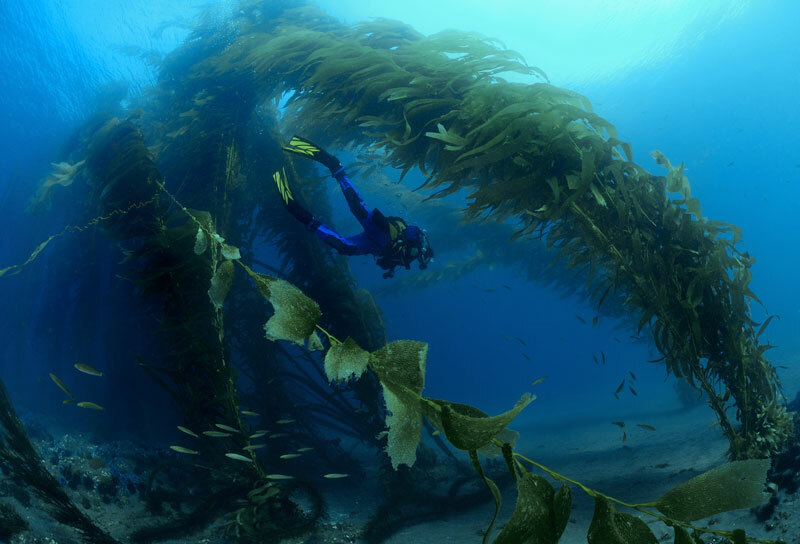 Kelp is common and healthy but because the reefs are scattered it is rarely impassable. There are some mini-walls and small overhangs creating an excellent environment for all sorts of creatures. specially the bright blue-purple and orange Spanish shawl nudibranch. Chestnut cowries are beautiful and can be found here tucked into the crevices. Normally associated with the tropics, these are the only cowries found in our waters. Their shells are shiny with a rich brown color. An empty fresh shell is a nice prize for your dive but often hard to find. Fish are abundant here as well but not of the large game fish variety. Observing and photographing small reef fish will keep you busy for the entire dive. Watch for the painted greenling and their mating dance. A female will perch on top a reef and a darker male will dance around and sometimes chase off intruders. Other small reef fish here include kelpfish, ghost gobies, and a variety of blennies. numbers, pass through the underwater forest late in the afternoon. Garibaldi are not lacking, adding color with their striking orange against the blue-green backdrop. Fellow fish patrolling the kelp include black perch, half-moons, and small sheep head and calico bass. Lobster, scallops and game fish are few and far between and small so don’t even bother. Maybe a few decades of recovery and we’ll see this area as it once was, abalone and all. But for right now, it is still a great dive.